Sometimes High speed Internet is required on your Smartphone, no matter how your 2G/3G mobile data connection speeds might be. Background data is what that hinders your speeds, naturally when you try to surf using mobile data. Trust me background data is needed for each and every app on your smartphone, so that you can be notified with push/in-app notifications to get hang of things that matter you the most. This is basically the reason, we often receive slow data speeds on our smartphones while we access Internet & curse our Data providers. Often many of us have Broadband/ISP connections at our homes, but fortunately enough we don't have a Wi-Fi Router. This is reason why many of us head over to Google and Search : How to use PC internet on my Mobile phone, isn't it? Despite of this we land into pages that focus the setup on Laptops, probably due to that integrated Wi-Fi chip. So let's do something about it, here's how you can access Computer ISP/Broadband's Internet on your smartphone directly without any complex setup. On top of that, this doesn't require a Rooted device. Yes, i said "Non-Rooted Devices". Connect your phone to your computer via a USB cable & Jump right into Settings. Then dig over to Developer options under settings to turn on USB debugging (Just in-case if it doesn't show up, Follow this: Settings>About Device>Build number, then keep tapping on build number until you get a message- you've unlocked developer options). Once you're through with that part, Go to Settings>More>USB Internet & Select your perspective computer operating system. After that hit Next & Tap Done. So that's everything you need to do on your smartphone, then let's get down with the left Computer Part (Windows only). Jump right into Control panel > Network and Internet > Network & Sharing Center & then click- Change Adapter Settings (It's present in upper left hand side). 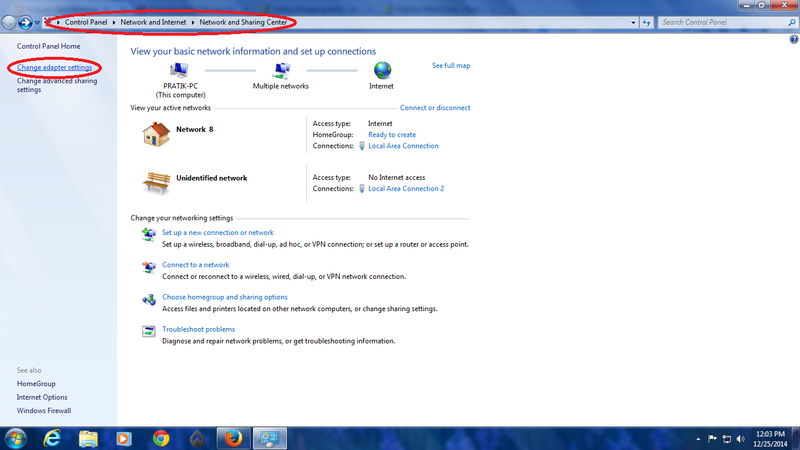 After that you can see a new Lan Area Connection present up, then go to your Default Broadband Connection & right click to access properties. Then click on Sharing > Tick Allow > Select Lan Connection 2. Finally hit OK & you're good to go. 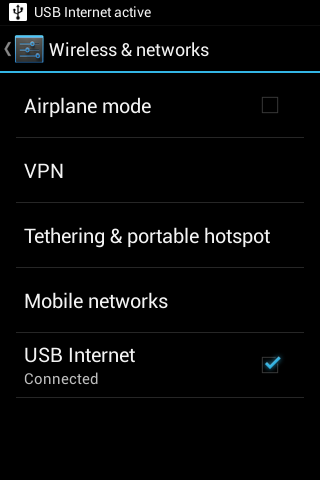 Now your Computer Internet (LAN INTERNET) is running automatically on your Android powered Smartphone via USB Cable. So after that Internet(Computer Enabled) should start working properly on your phone, just keep in mind that whenever you need internet on your phone via USB cable, You have to repeat all those steps again and again. That's the catch, you've to dealwith. The same can be achieved with Windows Phones with less efforts, You simply need Zune installed on your PC, then connect your Windows phone to your computer via USB cable & launch Zune on your PC, That's It! 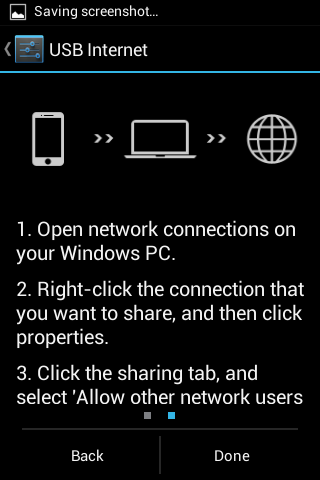 Windows phone automatically connects to the internet. 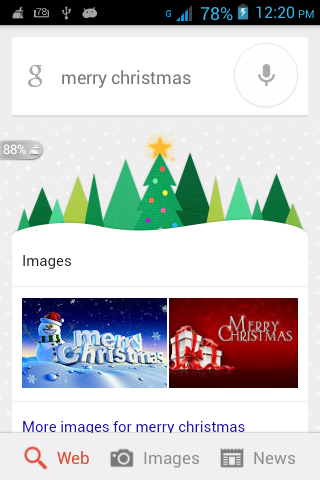 No need to scramble around weird things, which are essentially required in android devices. Note : This only works on limited no of devices !! I am using a smartphone by iDROID USA. Its name is Tango 2. I like my new smartphone very much. It has a 8MP rear camera and a front camera with flash for pictures even in the dark. 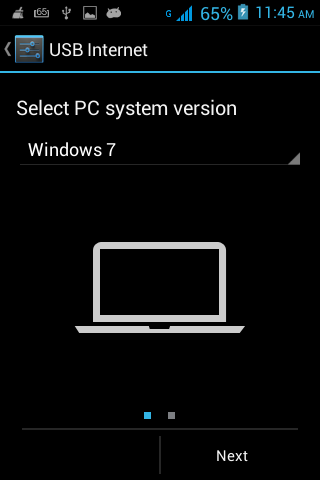 I'd Like to share my PC internet on my Android phone. Which version of android does it run? Hi Pratik, did the trick mention above would work on moto g gen 3 (without rooting). hey Amulya, i'm currently searching it i'll make sure to update this article with another link. It has worked for for me. Thanks for the share and keep up the good work. Glad you liked it! keep visiting & sign-up to receive updates on the fly. 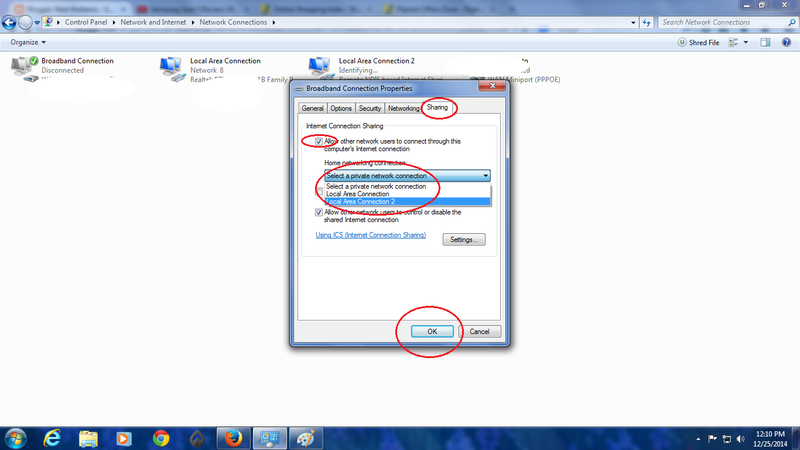 on right click only networking tab is found sharting tab is missing what to do...? Please describe in detail, sorry for the late reply. successfully done . but some applications doesn't have internet access . eg : UC Browser,Play store works fine, but social apps like whatsap, messenger and etc doesnt have connection. Hey Basith, It works on my end bro. Try clearing the cache and again following the same process. Hi Harsh, unfortunately now you cannot use it as in Android Lollipop you need to root your device for this feature. Hey to access this feature on Android Lollipop you need to root your device, i'm still finding a possible working solution but no success yet. Would make another post soon.